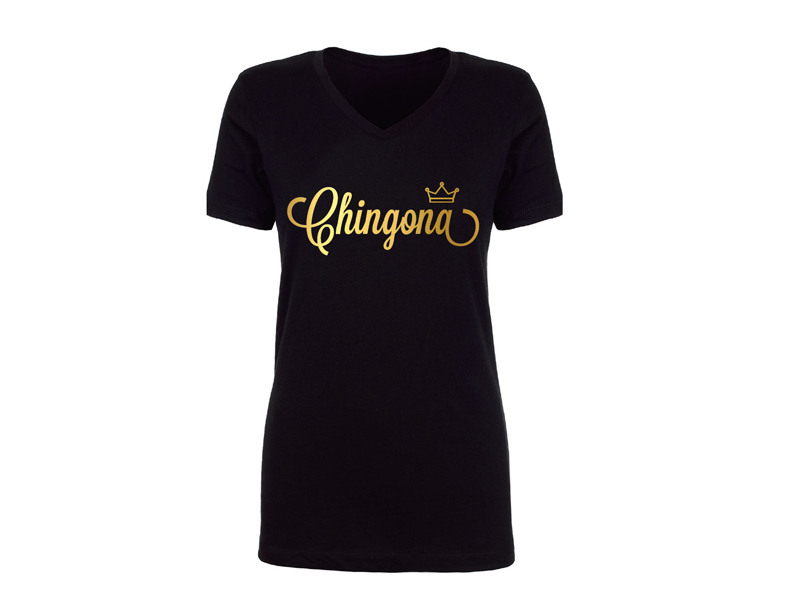 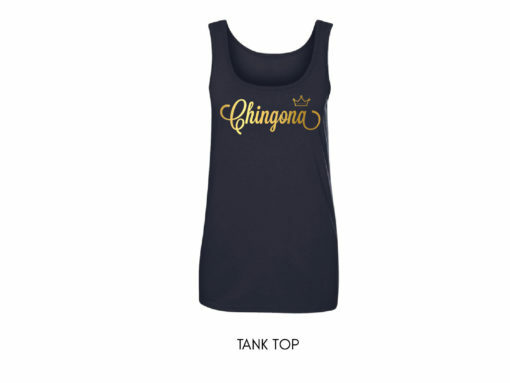 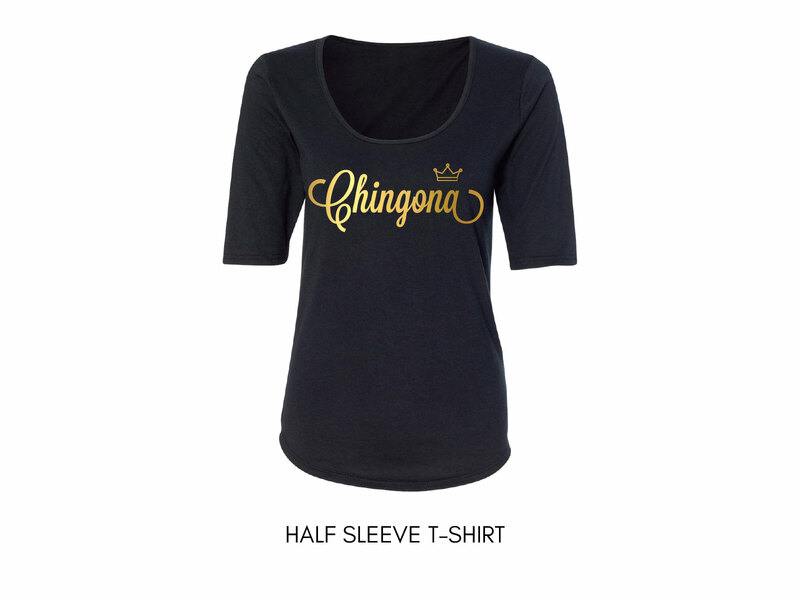 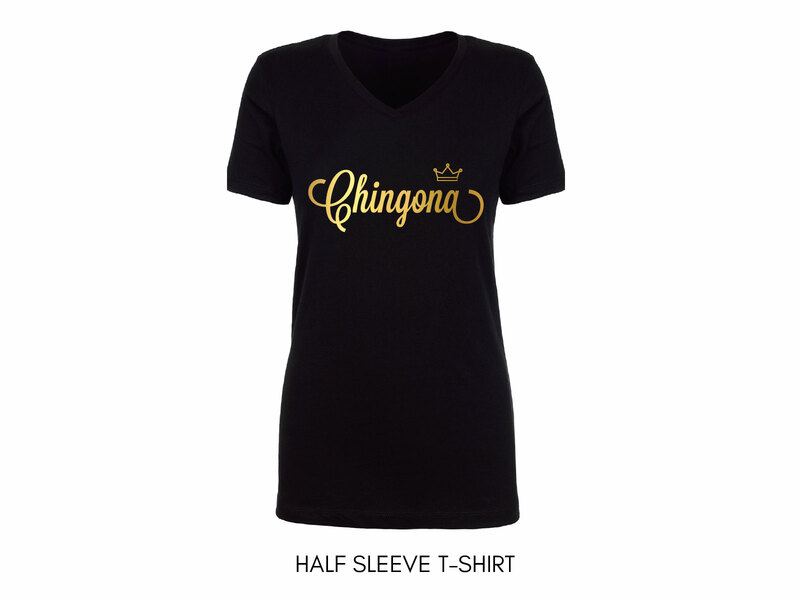 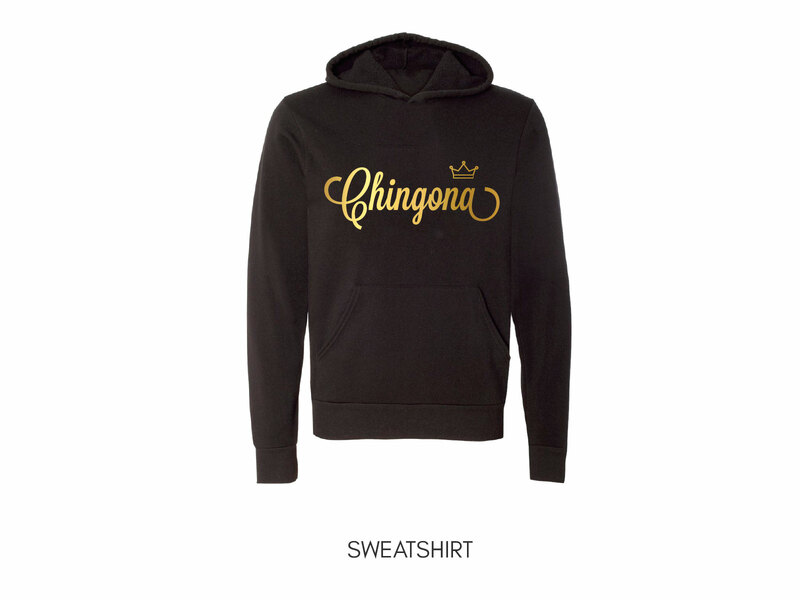 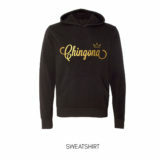 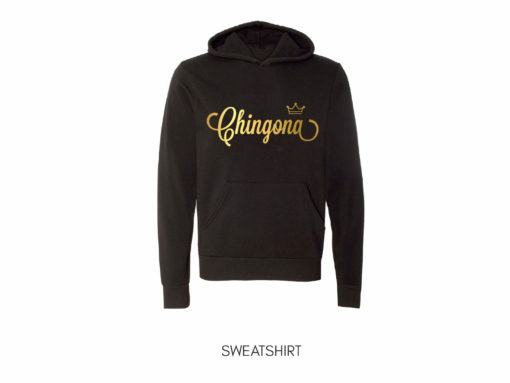 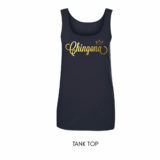 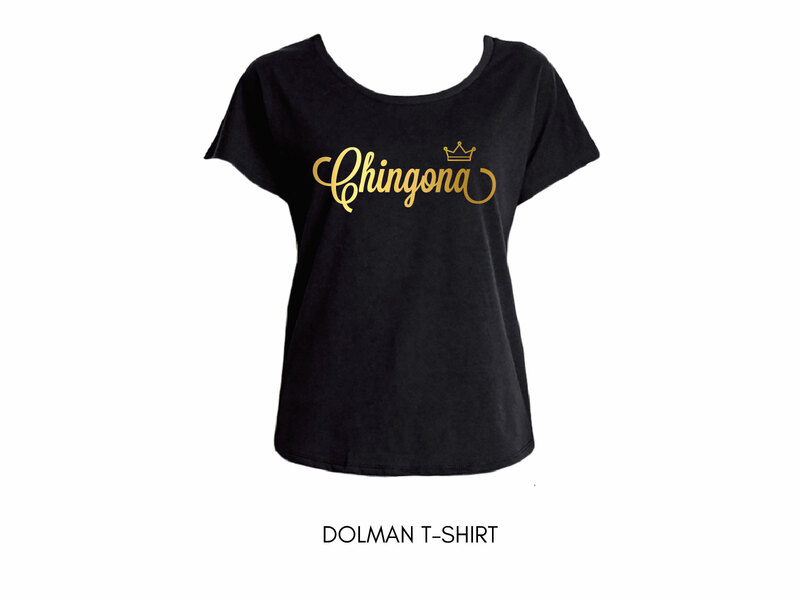 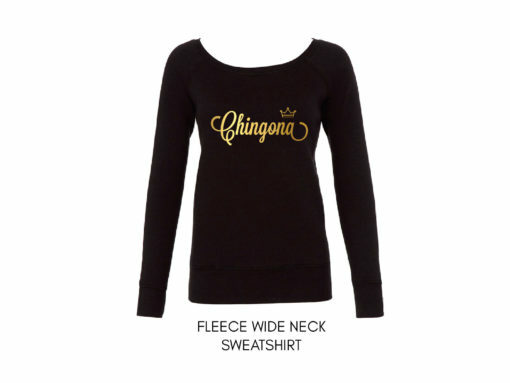 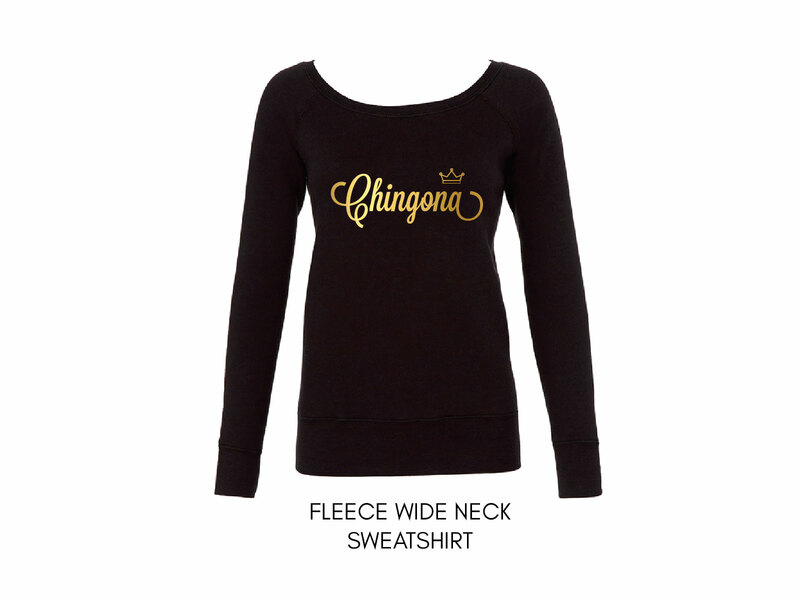 Represent the fierce Latina within you with our exclusive Chingona Shirt. 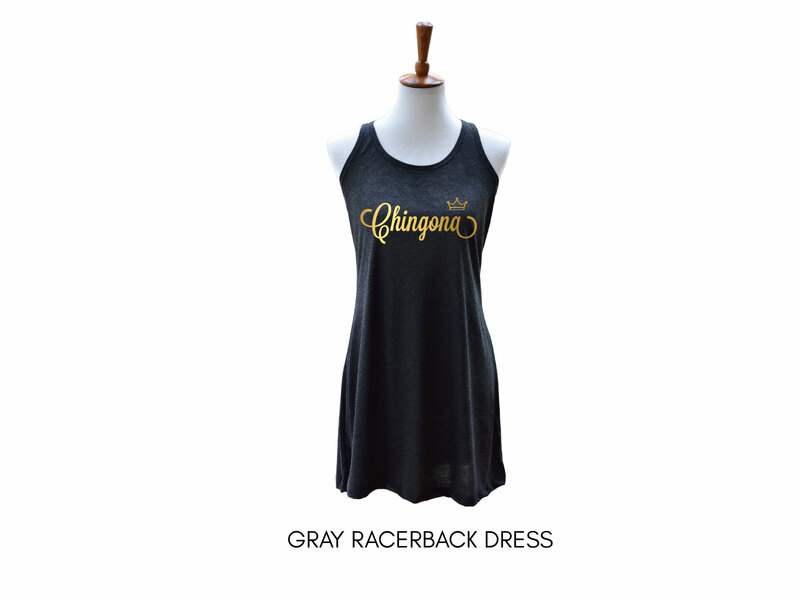 Soft, breathable, and gentle on the skin, it is available as v-neck, dolman, tank top, half sleeve, dress, wide neck sweatshirt, and hoodie sweatshirt. 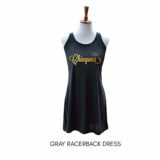 Our shirts can be customized with different colors and styles. 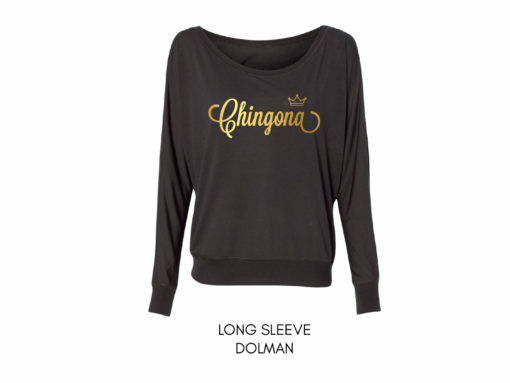 Send us a message at customorders@luzreal.com in case you would like a modification.